More than 200 coed college teams are expected to participate in the 14th Annual BoatUS Collegiate Bass Fishing Championship presented by Bass Pro Shops, set to be held at Pickwick Lake, Ala., May 23-24. Anglers will compete for a chance to win thousands of dollars in cash and prizes, as well as major points for the what the organizers call the “most prestigious title” in all of college fishing. In 2006, the first national college angling tournament, the BoatUS Collegiate Bass Fishing Championship, drew more than 40 teams to Lake Lewisville, Texas. Due to its popularity, event organizer Association of Collegiate Anglers Federation will allow up to three boats per school to compete. It is open to colleges across the country. While some colleges offer competitive fishing at the varsity level, most contestants come from college fishing clubs. Teams can register at CollegiateBassChampionship.com. Aftco is returning as a sponsor and will also remain the title sponsor of the Collegiate Bass Open to be held on Lake Dardanelle in October 2019. 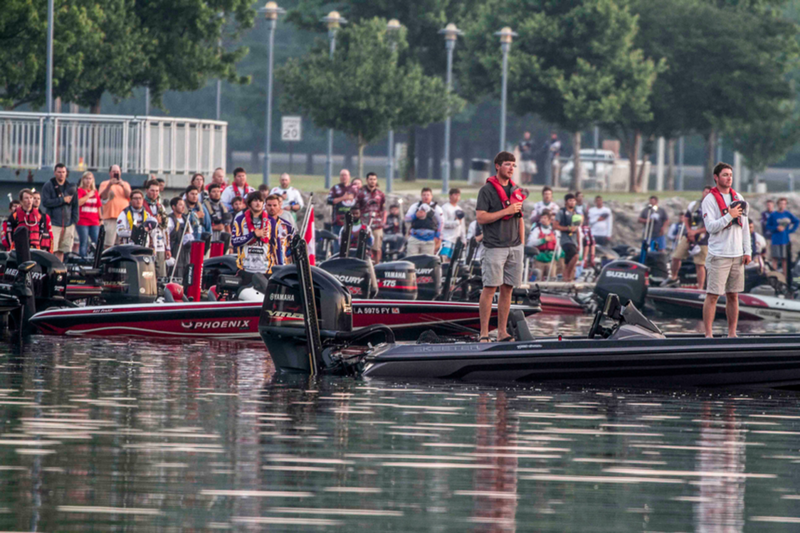 As a sponsor of the Series, Aftco will support collegiate anglers in a variety of ways, ranging from conservation programs, discount programs and more at each of the Collegiate Bass Fishing Series events this season. “We love the youth and enthusiasm of the college anglers for our brand as we continue to build in the freshwater market,” said sales vice president Casey Shedd in a separate statement. “Their passion for fishing is similar to what founded AFTCO and continues to drive it 60 years later. We love interacting with them and providing gear to keep them comfortable on the water in any condition,” Casey Shedd, VP of Sales.